ATLANTA, Ga.— A delicious "Countdown to Valentine's" Calendar inspired by rich chocolate in creative variations offers guests of The Ritz-Carlton, Buckhead stylish ways to celebrate romance in February. From candy-making classes for couples, to chocolate Spa treatments to cocktails, desserts and more, chocolate lovers are on notice to mark their calendars for rich, delectable experiences. The Ritz-Carlton Spa, Buckhead celebrates Valentine’s with a special facial offered the month of February. As luscious as its name, this facial begins with a cherry wine peel to exfoliate and firm, followed by a chocolate wasabi mask to stimulate circulation and boost collagen. The result is a deliciously dewy and toned complexion. Thursday February 2 - Chocolate Afternoon Tea, The Lobby Lounge Specialties such as Chocolate Chip Cherry Scones, Flourless Chocolate Brandy Cherry Cake, Coconut Chocolate Frangipane and Milk Chocolate Hazelnut Torte are added to our traditional Afternoon Tea pastries, and guests may take home a chocolate keepsake. Mixologist Christa Sladky created this romantic martini with house-infused cherry brandy, Godiva White Chocolate Liqueur and Stoli® Vanil. The champions of chocolate desserts are added to our splendid Sunday Brunch. Children always get a special wristband when checking-in for an overnight stay denoting VIK (Very Important Kid) status, and enjoy complimentary ice cream and a prize upon completing a self-guided scavenger hunt. In February, children receive our house-made Chocolate Bark at the end of their quest. added to our daily breakfast buffet in The Café. Sommelier Linda Torres Alarcon guides Club Level guests in an informal tasting of rich chocolates paired with her very special selections: Quinta do Noval, Tawny Port, "10 Yr Old", Douro, Portugal and Cocchi, Barolo Chinato, Piedmont, Italy. The Club Lounge from 8 to 9 pm. Neiman Marcus presents informal modeling of the season’s “haute-est” fashions during Chocolate Afternoon Tea. All fashions and accessories are red or pink—the colors of the moment! house-made spiced cocoa nib syrup and Bittermen's Xocolatl Mole. Loving couples join our ingenious pastry chef Dallas Marsteller to make a luscious assortment of hand-rolled Valrhona chocolate truffles just in time for Valentine’s Day. After class, everyone enjoys a delightful three-course lunch in The Café. Class starts at 11 am, with lunch following. Magnificent chocolate sculptures grace our presentation of glorious chocolate desserts. Look for White Chocolate Lemon Bar, Whoopie Pie, Dark Chocolate Crème Brûlée, Miniature Chocolate Cream Pie and Baileys® Irish Cream Milk Chocolate Cake. This couple’s massage features an alluring mélange of five essential oils— cranberry, Clary Sage, Ylang Ylang, Patchouli and orange—and is offered all month. Cocoa Truffle Tea, a light cocoa-infused tea, is complimentary with spa treatments in February. Prices are per person and exclusive of taxes and gratuities unless otherwise noted. For reservations for Sunday Brunch and dinner in The Café, please call 404-240-7035 or visit www.opentable.com. For reservations for Chocolate Afternoon Tea including “Haute Fashion, Haute Chocolate”, and the “Haute Couples, Haute Chocolate” Candy-Making Class and Lunch, please call 404-240-7035. Reservations are not required in The Lobby Lounge, The Wine Bar or in The Café for the breakfast buffet. For Spa appointments and to purchase Spa Gift Cards, please call 404-240-7041 or touch extension 7041. Pairing Chocolate with Port and Aperitifs is offered to Club Level guests only and no reservations are required. Nothing beats having a romantic evening with someone you love. Enjoying good food and drinks with someone special makes everything that much more memorable. Ambience and décor mixed with beautifully plated dishes can only help enhance ones chances at making the night something all parties involved will never forget. With Valentines Day right around the corner chances are many people are going to be flooding the flyest restaurants with hopes of having the perfect date. That being said, WP24, in the Ritz-Carlton, Los Angeles is the first spot you attempt to make reservations at, so that you and your date can be treated to an amazing 8 course meal. The Menu, designed specifically for Valentines Day, by the always amazing Chefs at The Ritz-Carlton, Los Angeles includes delicacies such as the Spicy Shrimp & Lobster Wontons, the Wok Fried Santa Barbara Spot Prawns w/ Black Garlic & Stir Fry Vegetables or the Pan Seared Jumbo Maine Diver Scallops. Ever had one of those days where you want something sweet, but don’t want to bake / cook anything or worse, you just don’t feel like wasting time and money going to the store to buy any of that overpriced crap they sell? 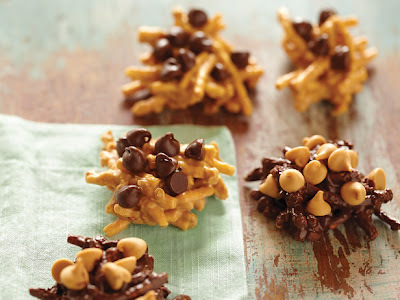 Today being National Peanut Butter Day, we figured we would shine some light on this “spread” of sorts and show you how to turn it into a delicious snack that takes less than 20 minutes to pull together. Growing up I was one of those kids that didn’t fade salads too much, if ever at all. Luckily I grew up outta that phase and learned that a good salad is the key to much more than staying regular and healthy. A properly put together Salad, creates the perfect balance when eating a meal, allowing the stomach to actually digest all that you are consuming at that moment. Keeping things different and creative by knowing how to put a little twist on an old favorite allows you to spice up life and avoid falling into a boring routine. 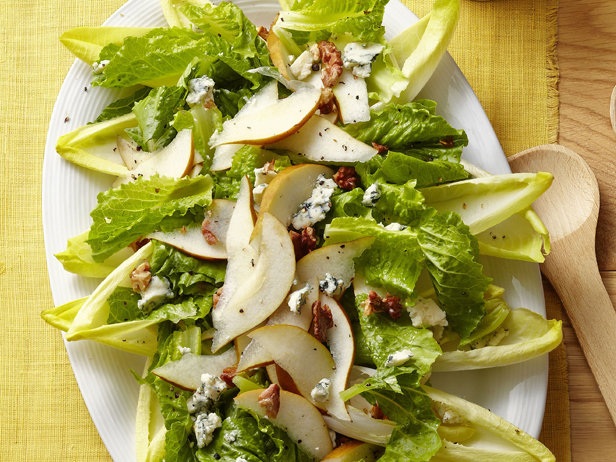 This Belgian Endive, Bosc Pear & Gorgonzola Salad is another one of those “must master” recipes that you will want to pull out on friends sometime at a party right before you serve your guests the Bone in Porter House Steaks & Grilled Lobster Tails. 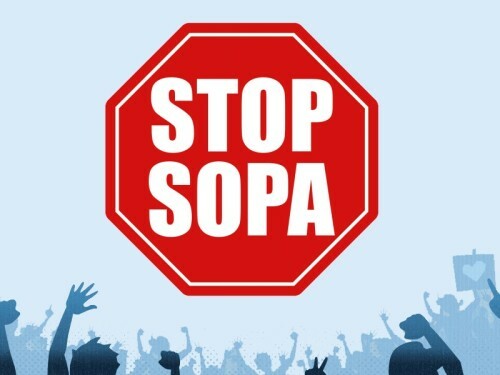 Contact Your Local Senator Now & Stop SOPA!!! 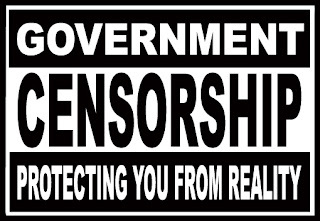 Sign Up To Stop Censorship Now! Today The Supreme Plate will be down in order to support boycotting the SOPA & PIPA acts. 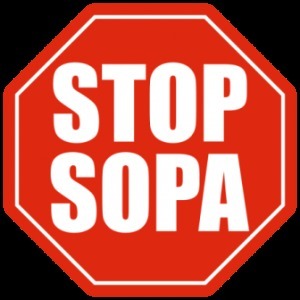 SOPA & PIPA must be stopped or the internet will be changed for the worse forever. Get involved & STOP SOPA & PIPA today! The beginning of the year is home to a great holiday that many people celebrate daily without evening knowing it. National Hot & Spicy Foods Day, is a Holy Day in The Supreme Plates offices and we make sure to eat as much deliciously spicy foods as we can. Starting off with a super condiment, known to make millions of dish delicious and even more backsides angry at their owners, Sriracha should be coveted like fine wine on this day. For those unclear on just what we are talking about, Sriracha Sauce, is the name of one of the greatest sauces known to mankind. Srircha is named after the seaside city of Si Racha, in central Thailand where it was first produced for local seafood restaurants. 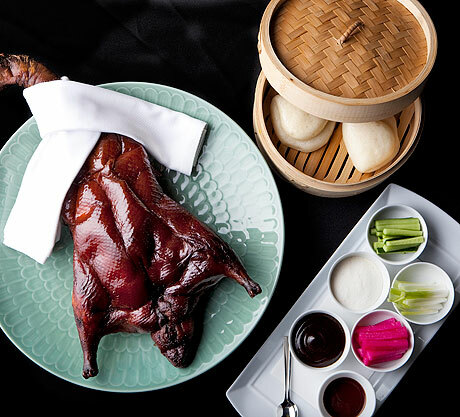 The distinct taste of chili peppers, vinegar, garlic, sugar and salt have dominated the Asian market here in the United States since its inception in 1980. This puree version is primarily produced by Huy Fong Foods this is different from the Thai paste from which it takes its name. 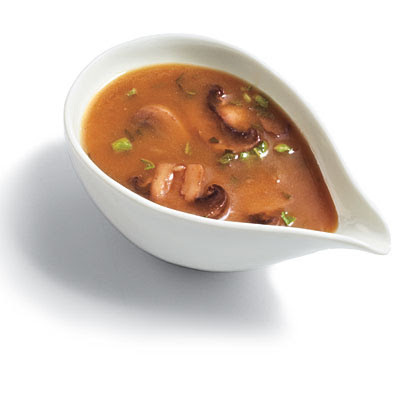 Traditionally a tangy, sweeter sauce with a lot of kick from chiles, it’s thick texture make it perfect for just about any application. From sushi, pizza and BBQ to soups, pastas and chow mein dishes, Sriracha is truly a unique flavor enhancing condiment that deserves to on every table or fridge in the United States. Pick up some today and put it on whatever your eating tonight. We promise it will taste good. Check the Recipes below for some great ideas as to where you can use Sriracha Sauce while making a memorable meal at home. Those who follow the site closely know that we have a certain fondness for chicken. Especially when it is accompanied by an incredibly flavored side dish such as Saffron Rice. A little known fact to some, saffron is one of the most expensive ingredients to use because of the ratio of what you get for what you pay. But have no fear, most stores carry saffron threads for a mere few dollars and that amount alone will be more than sufficient for the average cook for a year or more. The key to this recipe is not overcooking either the chicken or the rice but yet allowing everything the proper amount of time to come together when cooking. For those of you who are like myself please do this dish the justice it deserves and enjoy it with a cold beer or a strong mixed drink. Imagine this – a corporate wellness program called Race to the Moon, that aims to get members more fit and active by walking or running through offering free wireless pedometers, which tracks the steps of the user and rewards them for milestones and total steps. Talk about a program that actually would work as evidenced by the 50 Million steps counted by the pedometers in use, in just under 1 month. Here is basically what the participants are saying: “This race has opened my eyes to a second chance at life. This is where we turn things around, this is where we get off the couch and go outside to enjoy what Nature has to show us. In a day and age where every penny needs to be saved, and Gym memberships are quite pricey, I am happy to see something that inspires me to go outside and work out, which costs absolutely nothing at all.” A huge helping factor to the success of the program is that it is hosted by the social network, Café Well and sponsored by HealthAmerica, Race to the Moon represents a new breed of invigorating workout plans that are fun, cost effective, that actually work and most importantly rewarding to the user. By leveraging the power and support of social networking with incentives and fun, statistics show that people are inclined to get up, go outside and workout. By going to Café Well, you can help promote wellness in not only yourself but your friends and loved ones. Race to the Moon represents a new way of thinking in regards to getting ones life back on track. Something we all could use. Anyone and everyone can join by checking out Café Well, so take the time to go on over to their site and show them some love. We even have been kicking the idea around about signing up and hosting our own interoffice walk-off to see who does the most steps in a short period of time. Who knows I may even feel generous and give the winner something fresh from the review vault, full of unseen products and gift certificates. Either which way it works out, walking, working out and eating healthy are 3 keys to a healthy long life. Café Well promotes that and much, much more by giving you advice on how to work out, where to work out and everything else you will need to help you get your body back into the shape you’d prefer it to be. If you should ever find yourself facing this problem here is a quick and easy trick to keep those nasty lil’ fellas out of your home. Pour a thin line of Cinnamon or Fine Ground Black Pepper near where they are coming in from. The scent of the trail they are following will be “spicy” for them to handle, and they will head back to where they came from, leaving your household Ant free. For those of you who don’t have Cinnamon or are like Ants and don’t care for the smell of it, another useful tricks are to place Mint leaves in and around your home / kitchen and in the windows of your home. 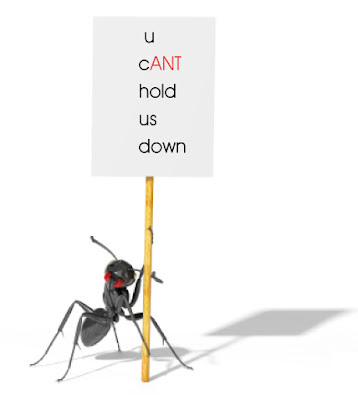 Ants cant tolerate the strong scents of Mint, Thyme, Basil, Garlic, Eucalyptus, Lavender and of course Crushed Chili Peppers. With people finally taking control of what they eat, where they eat at and just what ingredients they are putting into the food they make at home, it is nice to see people reaching out for recipes they are unclear on how to master. Chocolate is very temperamental, literally. If it is overheated it may seize resulting in whitish chocolate sauces / coatings or an unsmooth texture that looks like poo on a plate. 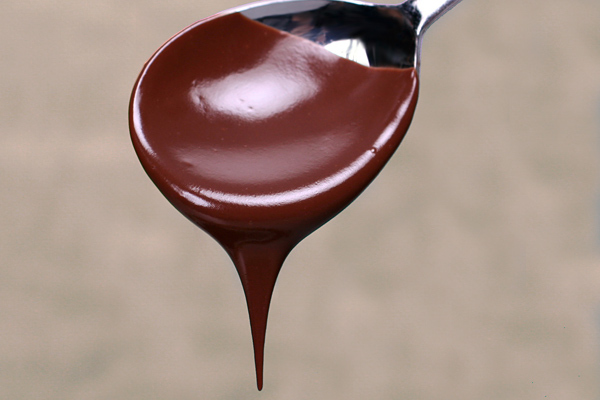 Chocolate sauces are a great thing to tackle because once you have this skill down, you can create flavored chocolate sauces and then apply them to your favorite fruits and other dishes leaving your guests amazed at your culinary skills. For the most part the recipe is very simple, when you start using different juices (coconut, lime or whatever you decide) it really plays with the final results and produces some of the most amazing chocolate flavors you will have ever tasted. Take your time and this will come out just fine. Enjoy National Bittersweet Chocolate Day! Today is National Spaghetti Day. Now we here in The Supreme Plate are lovers of carbs especially when they come in the form of great pastas drenched in sauces that truly need no help from the starch other than to help sop it all up. If you know how to make a good sauce from scratch, your already a few steps ahead in the game of life. Bolognese is a meaty sauce that has a tremendous amount of Earthy flavors that once cooked down is a meal all unto itself. Add a quality piece of bread or some pasta and your set to go. You can change the falvors around however you like by adding more of one meat and less of another just make sure that you don’t get too lean of a cut, you want a little fat to help break down the proteins and give the dish that much more flavor. The recipe for the pasta is a simple pasta recipe that can be applied to numerous dishes and cooks up rather quickly so make sure you don’t overcook your pasta. Today being the first day of 2012 we can only imagine how many hangovers there are occurring across the Nation as we speak. 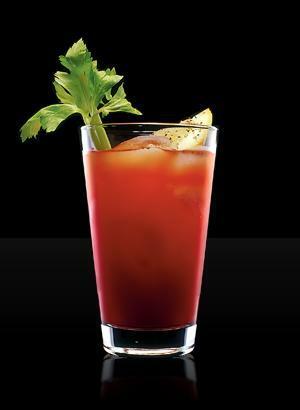 With that being said we will keep it simple and to the point, a great cure for the common hangover is drinking a Bloody Mary, yeah it might be gross to a certain extent but if you use pepper vodka and a few dashes of Cajun / Creole seasoning around the rim of the glass you find yourself in heaven. Remember to make this drink as cold as you can because a warm Bloody Mary might make you call Earl, and hand over all your guts rather quickly. Here is to a Happy and Healthy New Year. Slowly combine all ingredients over smaller cubes of ice in a highball glass. Starting off the year with a whole new slew of food holidays and events to attend is a great way to get yourself revitalized after what was a very taxing 2010. 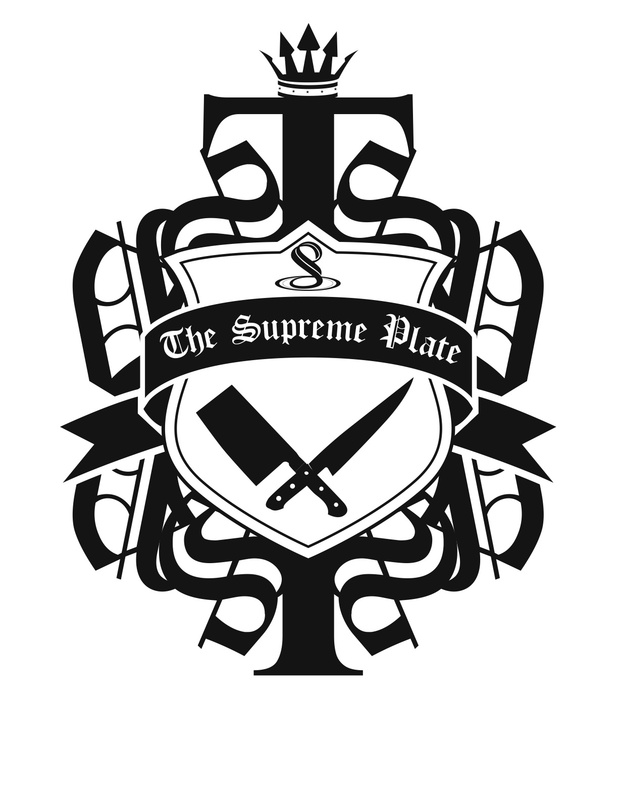 Leave it to the good folks over here (ok maybe just food crazed fools) The Supreme Plate to put you onto what holidays you can try to act like you knew about. Here is a comprehensive list of what you should be preparing yourselves to eat over the next 31 days of January. Please look at things this way as you enter into the new year, for starters you made it out of 2011 alive and somewhat healthy enough to even be concerned with reading this article. 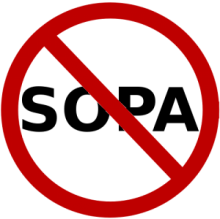 Second we all know things could be worse, so lets not darken our spirits with hoping that those things to occur and finally, just enjoy the fact that we do love what we do and could / would not be doing it, if it weren’t for you, our faithful readers.